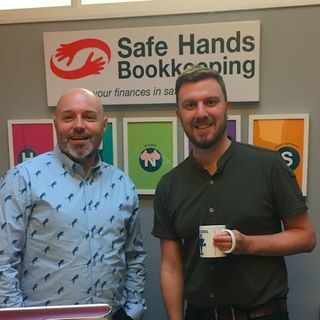 This week's guest is Jason Dalton from Safe Hands Bookkeeping. Working in the banking sector, Jason felt that his career was not where he wanted it to be. Then he watched Simon Sinek's TED talk "Start with Why" (https://www.youtube.com/watch?v=u4ZoJKF_VuA), read the accompanying book and decided to leave banking and become his own boss. The business quickly became 'Safe Hands Bookkeeping'. In this interview, we ask Jason about his feelings when he started out, ... Más informaciones growing his business from his bedroom to how it looks today with 10 staff members and huge plans to grow this year. We explore Jason's passion for meeting people, giving help and support to small businesses to help them achieve their goals and how using software allows his business to expand and offer new services.